The goal of the Transforming Rage group is to become more aware of the emotional wounds underlying anger and learn how to constructively channel and express aggression. Changing lifelong habits requires a huge commitment of time and energy. Most people fiercely resist change and only seek help when the situation is dire. The first step is to work through this resistance. Members must decide that they want more than superficial, cosmetic improvement. Before the initial interview, prospective members ask the significant people in their life to list the aggressive behaviors they are doing that are scary, hurtful and upsetting. Members then maintain a log of each time they do these behaviors, and the underlying thoughts and feelings. In group sessions, members share insights from their log and practice working through their aggression therapeutically. Members are also encouraged to be honest and direct with each other to practice effectively expressing anger and resolving conflict interpersonally. A digital workbook is provided, which members study at their own pace. Six weeks into the program members present to the group on what they have learned. They are evaluated by the other group members on the degree to which they’re taking responsibility for their actions, demonstrating empathy towards the people affected by them, developing insight into the underlying emotional pain and cultivating the skills of managing and transforming their rage. This presentation is repeated prior to leaving the group. The group fee is $65 per week. It is not covered by insurance at IPG. Group is not for people in psychosis, active addiction or suicidality. As long as they remain group, members are charged for every session, regardless of attendance. Members are required to commit to a minimum of 12 sessions and give at least two weeks notice before leaving. They are strongly encouraged to stay in group until their anger issues are resolved. Jacob Winkler provides Group Therapy at IPG. He received his Master’s in Social Work from Rutgers University and has pursued training at the C.G. Jung Institute of New York, the Center for Group Studies and in Somatic Experiencing. 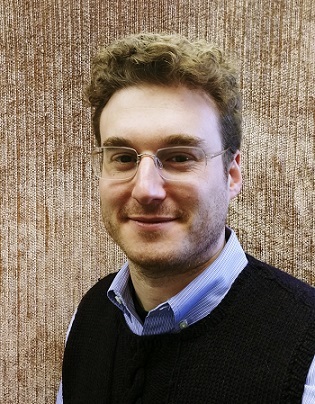 Mr. Winkler also runs the Group Therapy program at the Blanton-Peale Counseling Center in Manhattan, where he has worked with adults of all ages struggling with anxiety, depression, social phobia, difficulties with aggression and problems with intimacy and relationships. Mr. Winkler maintains a regular blogpost about group therapy- GroupTherapyNJ.